The SDFC Committee and volunteers have been working hard over the NTFL off season to improve the facilities at Norbuilt Oval. The new Coaches Box has arrived and a new Electronic scoreboard is on its way. 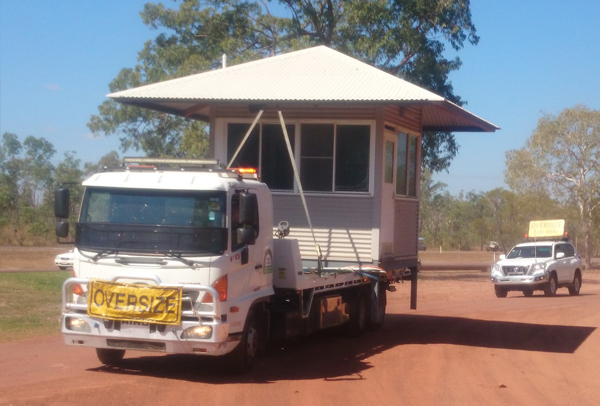 "SDFC acquired the old guard house at the Darwin Prison Low Security Area at a recent government auction. After some preliminary hard work by Peter Mullins and the Papertalk brothers, the building was lifted from its home to be taken out to Norbuilt Oval. Jack Merritt of Jack's Rural Contracting did the initial lift to get it off site then Cohen and his team from Cohen's Towing did a magic job in carrying it out to its new home. It will be installed before the start of the 2017-18 season & provide Coach Rusca and others with an air-conditioned 'office' from which they can plot our opponents demise. On another improvement to our facilities, a new electronic scoreboard will arrive in the next few weeks, to replace the old manual board that came from TIO stadium. The new one will 'sit over' the old frame and help keep the heritage look that has kept our spectators informed of games progress over the past few years. Volunteers will be sought to operate the new scoreboard from the Time-Keepers stand. 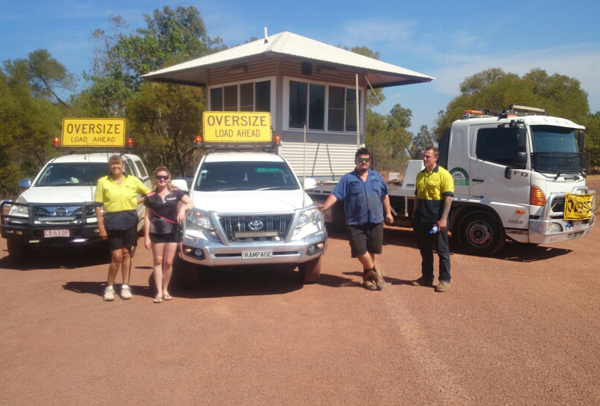 A big thanks goes to Leanne Lock & Coolalinga Community Bank for their hard work in getting this project to fruition."